Completely over priced for tiny portions. The drinks were also over priced. Felt very rushed at the meal the bill was given as soon as our plates was taken. Excellent fresh naan. Decent thali, great daal with options for meat, chicken and veg! Wanted Indian cuisine in London near our hotel & booked a reservation based on reviews. European seating in an energetic setting, the regular diners next to us gave us excellent food & wine recommendations. Will definitely seek out this restaurant on future trips. A wonderful experience, a little noisy (in a good way - only day that to be prepared for fun), and excellent Indian cuisine!! Food was simply amazing! 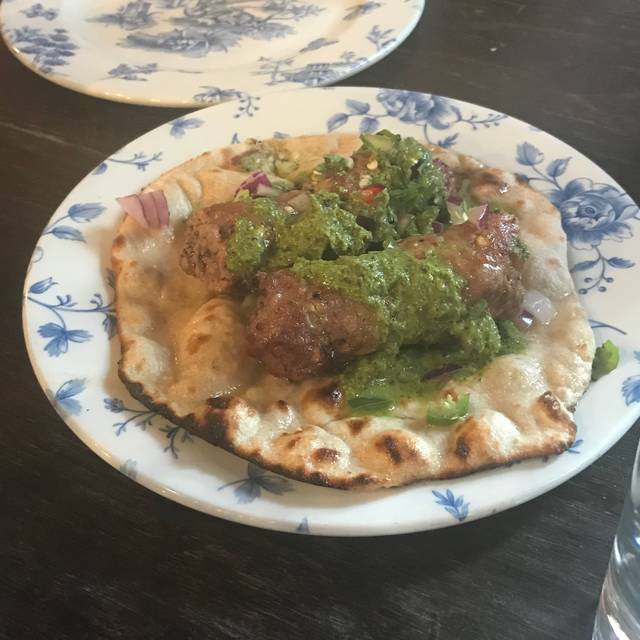 The lamb chops were the highlight, the naan bread was very tasty as well. Decent food, terrible service. I refused to pay service charge, and the waitress had the cheek to ask where her tip was. So I constructively explained why she wasnt receiving one. I have never been asked to pay a service which was shocking. Expect to be rushed. We had such an amazing lunch for my husbands birthday. We three ordered starters and a couple of mains. The hostess serving us was super helpful, she recommended switching a couple of things we ordered so we had variety and also helped us from over ordering. The food was delicious and was brought out in authentic serving dishes. We also tried the Nimbu Pani from the drinks menu which complimented the food and finished off with masala chai. We cannot wait to come back again! Great food and atmosphere. 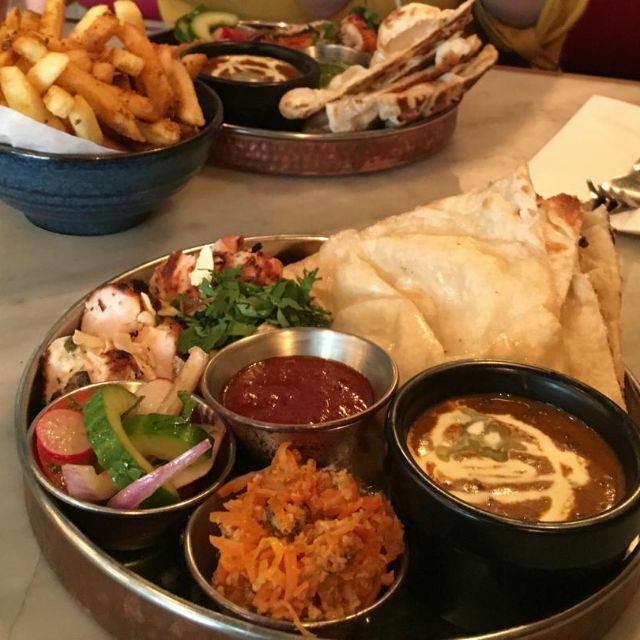 Tandoori Paneer and daily fish special were delicious + aloo chat always a favourite! 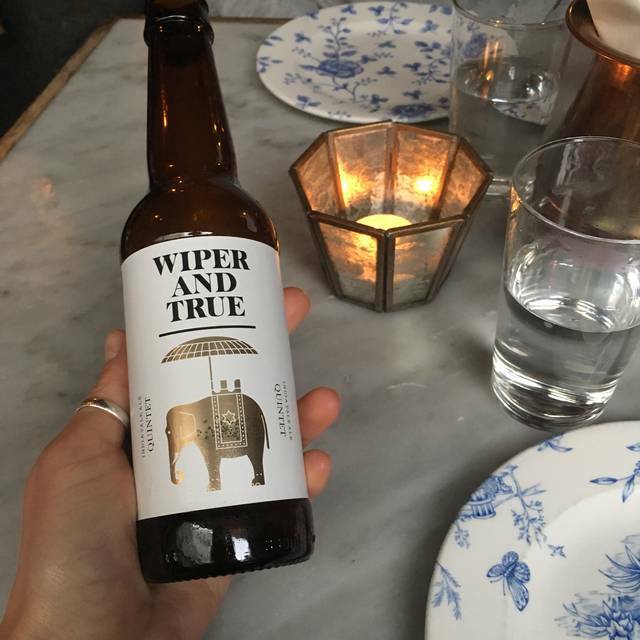 Great little place very friendly service -food is really interesting, fantastic veggie options (note not a standard Indian menu) wonderfully imaginative, small plates and the black dahl, sensational on our visit. Do try black dahl but as small plates already generous and filling, no need for many extras. Industrial environment but with some really comfortable two person booths, very nice arrangement if you know to book and ask for one! Good for pretheatre or post matinees, great location for Strand theatres and Charing Cross in cooler weather when Covent Garden a bit too far. Very strict slots as gets very busy -popular for a reason so don’t be late!! Here's the thing - would I recommend TCH to someone else? Absolutely; you need to try the food. It is just that everything else around that... yeah, not as good. 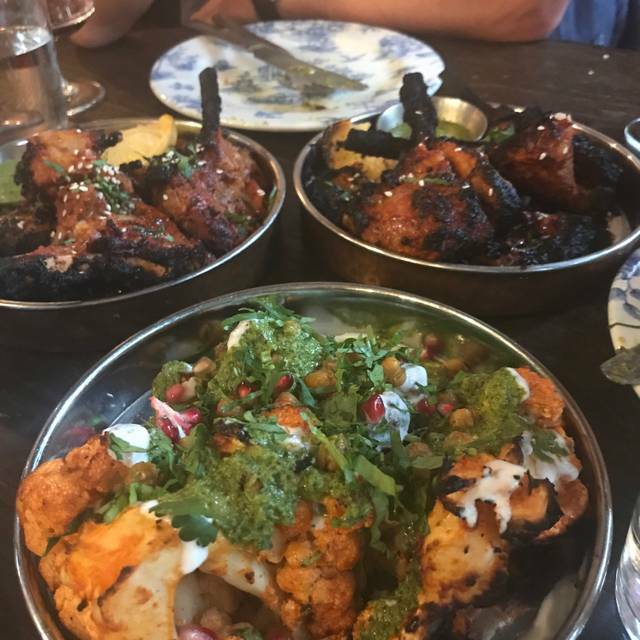 But the food, oh the food... the black dahl is worth going for alone, the tandoori rabbit leg (tastes like chicken) is divine, the bone marrow naan is probably the best thing I've eaten for months. You need to go and try things for yourself - it will be worth it, trust me. What you might not enjoy is being crammed in to a tiny little corner of the restaurant on a table the size of a postage stamp, where the arrival of every course requires a rearrangement of the things already on the table and a game of 'what can I stack this on top of' before you can settle down to eating. Maybe I just got unlucky with where we were sat, but it kind of soured the overall experience for me. But the food deserves all the plaudits it gets - it really is that good. 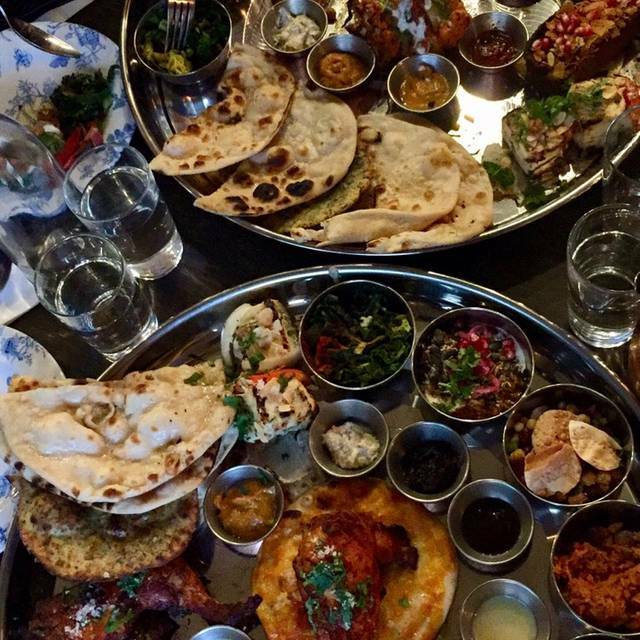 So many delicious things in the Sunday thali! Everyone should try it. Marvellous venue! Great atmosphere, wonderful Food - six of us shared everything! Steak, chops, chix, fish, cauliflower- we all agreed that there wasn’t anything we didn’t like! It was a feast! Cosy restaurant. Excellent food! Lovely people. Would definitely recommend it. Amazing food and great atmosphere. We love it here. We were a group of seven for dinner. Our first time. Not our last time. Simply incredible! Just to watch the guys in the kitchen is a show. But the food....The most amazing lamb chops. Everything amazing! This is the second time we've been, and once again, it didn't disappoint! 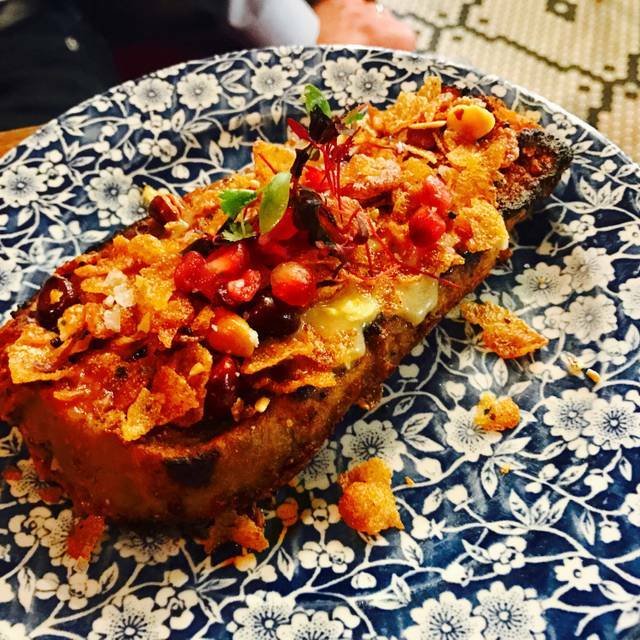 The food is delicious, the staff are friendly, the decor is stylish and it's very reasonably priced. This is my new favourite restaurant! 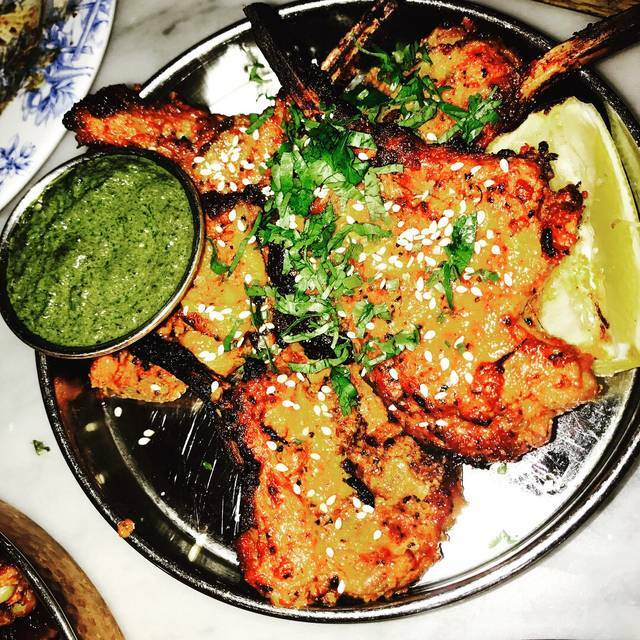 The menu offers a great variety of Tandoori dishes each with a twist and a good amount of spices. The kebabs are amazing and worth a try. Excellent food and selection of drinks. Only downside is that it is slightly cramped. Would recommend. 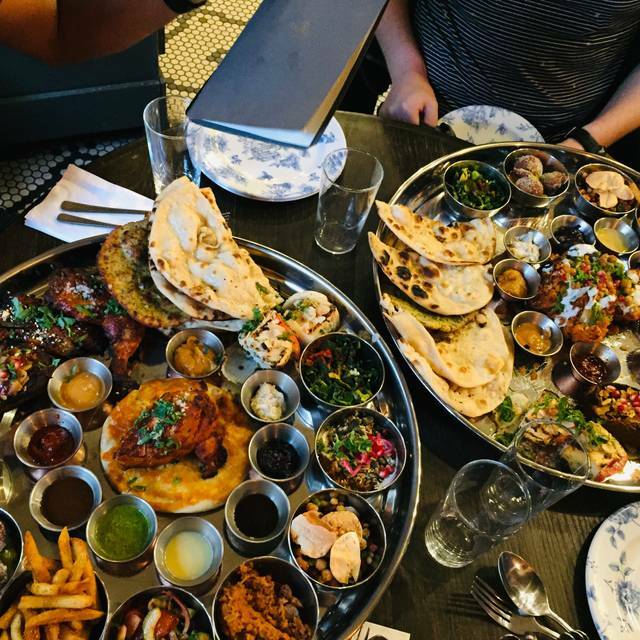 It is honestly the best Indian food we have ever eaten and we eat it a lot. The flavouring is mouth-wateringly good. I could not fault the whole experience aside from the fact it had to come to an end. I would go back there now if I could! We were there for a birthday dinner- no special treatment. Depends on the occasion of the visit - you can have a different experience. Food arrives slow. Staff are friendly. Food is good, but not amazing. Incredible food, really busy and good vibes. 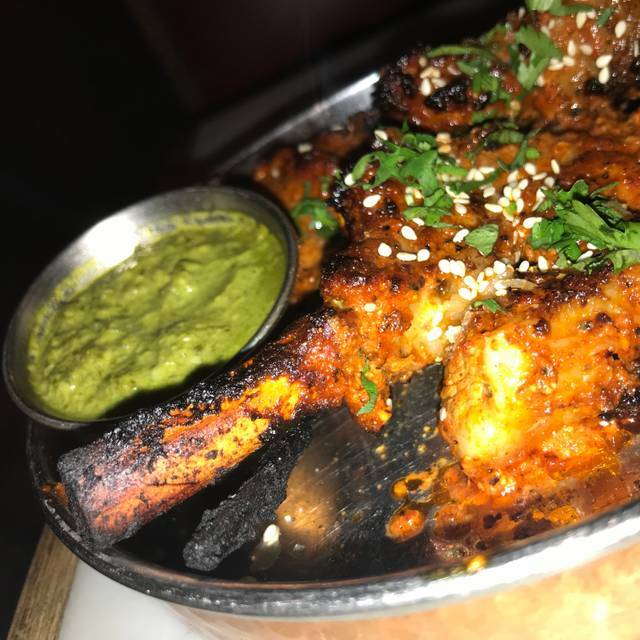 Chicken and chops were full of flavour, spinach and sweet potato chips were a great side, great to watch your food being cooked in the Tandor. Food a little too charred and salty for our tastes. Service very efficient and attentive. Tables are packed tightly so don’t expect any discrete conversation! Everything (food, service, ambience) was excellent. Beautiful food and lovely environment! Not like a normal Indian where you’re left too full to move! Wonderfull food, good service, but very noisy. Reservation recommended.